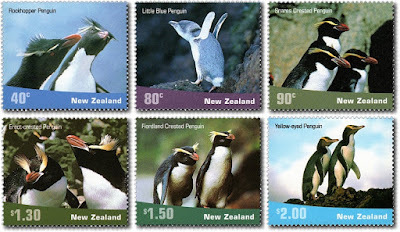 On the same day that the Ross Dependency issued a six value set on the Penguins of Antarctica, New Zealand issued a six value set on the penguins of New Zealand. While these sets were issued by different postal administrations they must be considered as related. They were issued on the same day, had the same designer and the same printer. 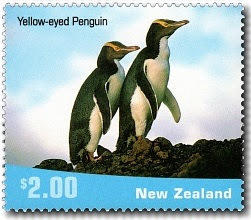 Ross Dependency Postal Services are actually run by the “Ross Dependency Agency”, located at a post office in Christchurch as a agency of the New Zealand Postal Service (NZ Post). 2001 Ross Dependency - Penguins. Up to 80 per cent of a penguins life is spent in the ocean where their stiff, paddle-like flippers, torpedo-shaped bodies and heavy bones are ideally adapted for speed and deep diving. While other birds take to the skies, these fly through the water, cleverly camouflaged from beneath and above with their white bellies and dark backs. 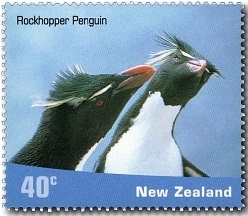 Sometimes called the punk-rockers of penguins for their spiky head plumage. 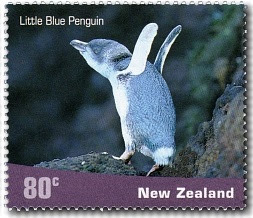 80c - Little Blue Penguin. Just 25 centimetres tall and one kilogram in weight, this is the world's smallest penguin. 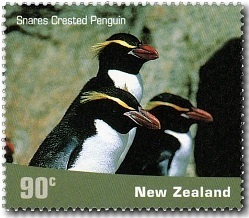 90c - Snares Crested Penguin. 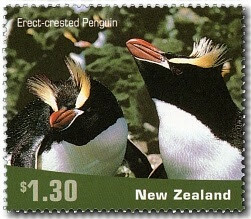 One of the three crested species featured in this issue that only breed in New Zealand. This penguin is an inhabitant of our sub-Antarctic islands, living in huge colonies mainly on the Antipodes and Bounty Islands. 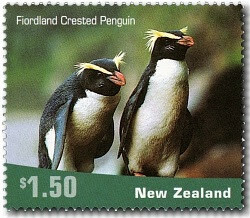 $1.50 - Fiordland Crested Penguin. Only 3,000 breeding pairs remain of this relatively timid penguin that breeds in the rainforests along the rugged coastline of the south-west New Zealand. Many New Zealanders have supported recent conservation efforts to protect the remaining population of around 1,600 pairs. 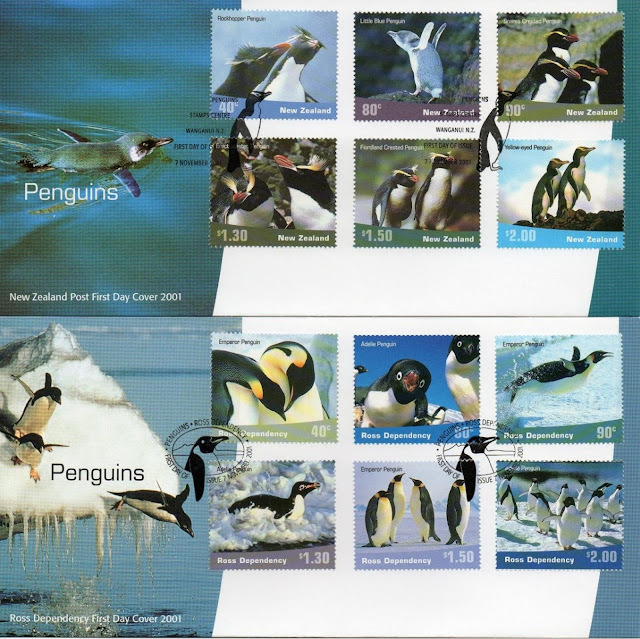 First Day Cover - 7th Nov 2001. Now if any more proof is required that these two issues by New Zealand and the Ross Dependency are related, have a look at their First Day Covers.